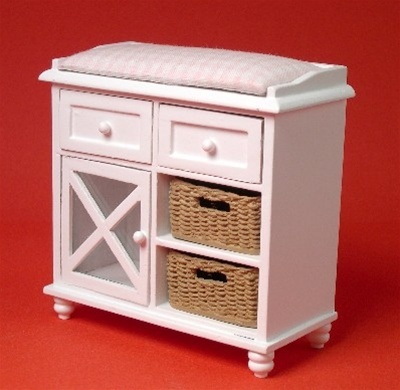 This is a charming wooden changing table with a white finish. The piece has a back rail and two sloped side rails on the top, two recessed panel drawers across the front, a cupboard with an "X" embellished doorfront on the left and two open shelves on the right. The drawers and door have matching round wood knobs.